I was born in the same year as Steve Jobs and Bill Gates. 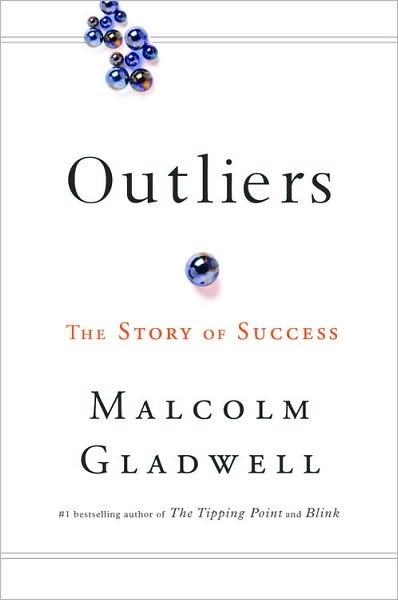 Turning 21 in 1976 was a special event according to Malcolm Gladwell in his most recent book, Outliers. In the same year, 1976, Sun Microsystem founders Scott McNeally and Bill Joy were also 21, turning 22. Microsoft co-founder Paul Allen was already 23. These five men have had a huge collective impact on how we work and spend our leisure time, even if at the time they began their enterprises, they didn’t know what was ahead of them. Gladwell’s hypothesis is that their youth and backgrounds came together with the technological zeitgeist to allow them to do what they did in their early twenties, while companies led by men and women in their forties and fifties couldn’t grasp what was to come. I mention this because so many of my professional colleagues still have not grasped the relevance and importance of the technologies these men developed, describing to me how they’ve been dragged kicking and screaming into using technologies for the professional lives. Last year and in 2008, I ran courses for my colleagues on how to make their professional lives a little easier using technology and the level of “Oh my gosh – you can do that!” was palpable. It felt the same way when I visited Boston in November for the “Learning and the Brain” conference (I’m heading to a follow-up after Macworld next month in San Francisco), and attended a session by a class teacher who now offers workshops for teachers working with children of the digital age, so-called Millenials. Her breathless “Gee-whiz, look at what Facebook’s doing” was incredibly annoying and I had to bite my tongue on several occasions. But I have to acknowledge that perhaps I am an exception, if I compare myself with others my age. My partner’s children who are in their early twenties think she and I are so cool, because we got them both to take up the Mac platform, to take on iPhones, and we do their tech. support for both. Usually it’s the other way around in families. My first direct contact with a computer was a mainframe at university in second year when I had to learn to program in Fortran and use punchcards. My first contact with SPSS, a major science statistical package, also used punchcards. I recall doing my Masters in 1980 when visiting the library to perform a literature search meant speaking the with librarian, spending time finding the right keywords to search with, then waiting a week for the printout search results to became available. After, I headed into the journal stacks to start locating the articles and photocopying them. Later, I learnt how to use Current Contents and Psychology Abstracts to better guide my quest, but it was all so slow and tedious. 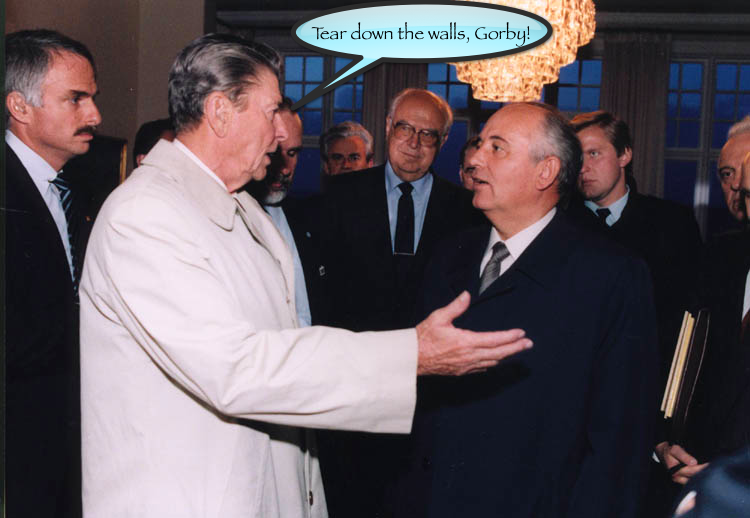 After joining Compuserve around 1990 and getting my own email address (1000033.271@compuserve.com or something similar) I used its very expensive service (I had to call overseas @ $2/min in 1990 dollars) to track down articles and publications. Later, when the intertubes became available (I was firstly lposen@ozonline.com.au) as well as lposen@aol.com (don’t worry, it already gets so much unchecked spam) a whole new world of communicating with peers and researchers opened up. Whereas before I had used snail-mail to write to researchers for paper copies of their original research – the turn-around time would be around three weeks if they responded promptly – I could now email the senior author and often overnight a response would come together with a PDF or link to a website, with the bonus of a email-based dialogue commencing. When one gets used to free, it becomes hard to bring oneself to pay. Even when one knows it’s the “right” thing to do in terms of copyright and rewarding creativity. Millenials especially seem incapable of understanding the idea of paying when they have spent their lives knowing how to obtain their music or videos for free. Every so often, despite my assiduous efforts to track down free publications, I am refused entry and referred to payment pages for journal articles. I get the abstract for free, then a link to download a PDF or MS Word file takes me to a virtual payment checkout. I’m talking here of peer-reviewed research, the sort of thing I’m meant to read to keep myself current by law. With hundreds of journals publishing relevant research, I cannot afford to subscribe to each one for the occasional relevant article. Nor do any of my alma maters offer a service where as a graduate I can access their electronic libraries as do enrolled students and faculty. So like many independent practitioners, I have to rely on my wits to get what I want. I join discussion lists where others have access to material they can distribute and of course I continue to email directly. It’s an OK system, but it can be improved upon. Others have also recognised the almost prohibitive cost encountered with paper-based science publications, and together with concerns about the peer-review process, have begun online, copyleft-type clearing houses of information. One such community is PLoS, the Public Library of Science. “… a nonprofit organization of scientists and physicians committed to making the world’s scientific and medical literature a freely available public resource. All our activities are guided by our core principles. You can also send your original research to PLoS and have it peer-reviewed. Ah, the irony! 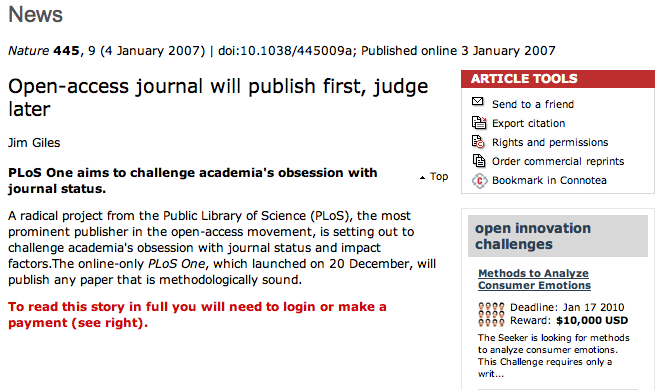 To read what Nature has to say about a free peer-reviewed journal system, I have to pay for it! You see, if I could get a hold of a journal article for my tablet for 99c, I’d grab it in a heartbeat. But how much do publishers want now for a single article? This is a 9-page article published by the APA, one of the USA’s premier associations for psychologists and a major publisher of peer-reviewed research. I would spend $11.95 on a book, but not an article unless I was heading to a deadline and my article was incomplete without referencing this publication. And you can bet I’d claim a tax deduction for “Professional Library“. Occasionally, journals will offer one or two free articles in a special journal devoted to a particular topic, but more often than not I am asked to pay exhorbitant rates to download pdf files. 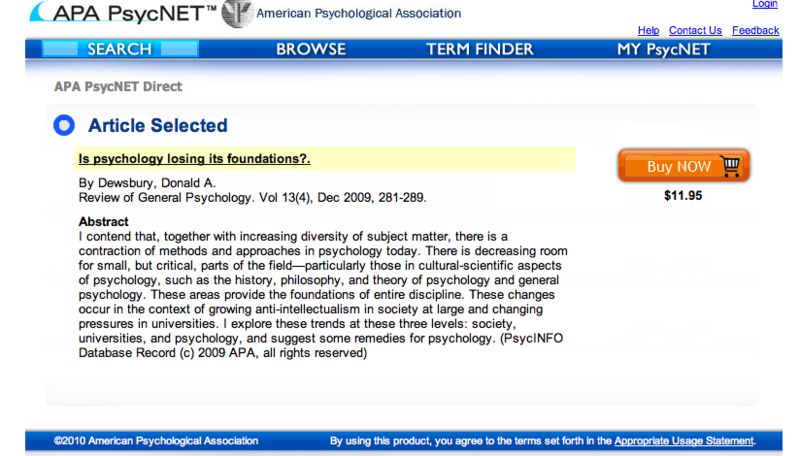 Now, let’s have a look at another system, this time from the National Academies Press. 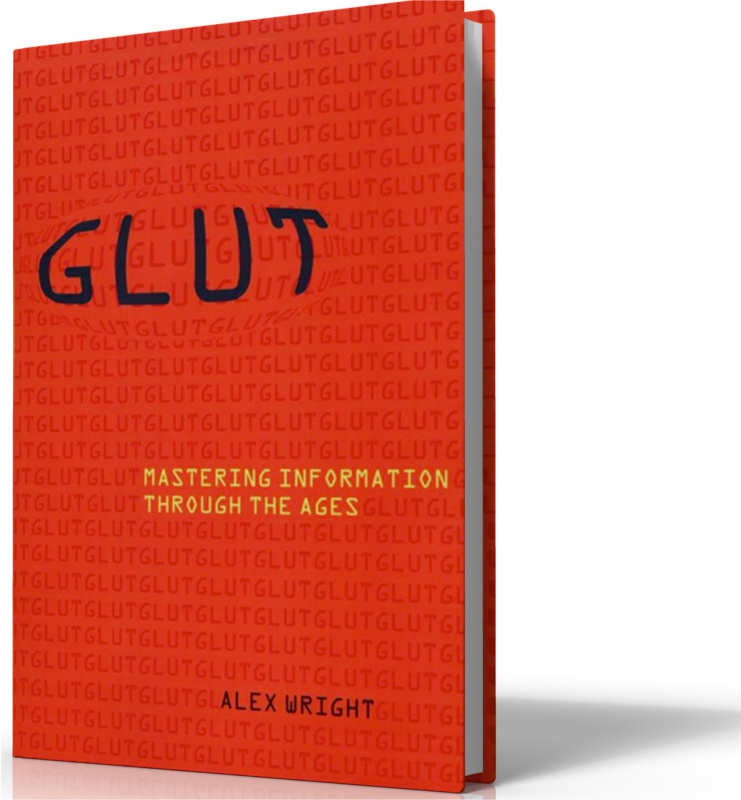 In 2007, I read a review of a great and recommended book on the so-called Information Overload problem, authored by Alex Wright called: Glut – Mastering Information through the Ages. This is a book you ought to read if you believe information overload is a problem of modern times, and Wright, with his library studies background, does a great job offering up a history of humankind’s making sense of the world. It’s nothing new, to give you the three word synopsis. After I had read the review (Google <Alex Wright> to find a video of him speaking at Google) I was satisfied it was a book I wanted on my bookshelf. A brief search lead me to the NAP site, where to my delight I discovered a number of ways I could access the book. Firstly, I could order the book delivered to my postal address, and pay online for a discount. Fine. Or, I could for a little extra, order the book AND a PDF of the book too. Which meant several things… I could keep a copy on the bookshelf and on my Macbook Pro for reference and for cutting and pasting text into my Keynote presentations; I could access the illustrations for fair use without having to resort to photocopying and scanning to put it on a slide; I could copy and paste sections within fair use into an email to send to friends to interest them in the book and open discussion. 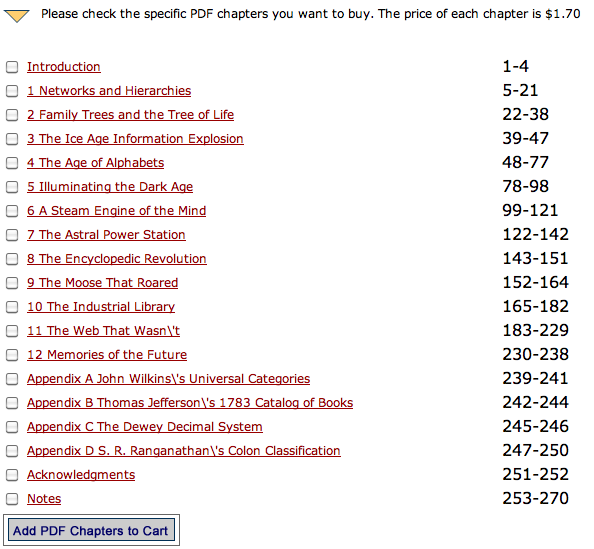 Or, I could preview each chapter, and order one as I went along, eventually owning the whole book in PDF format. So, if after reading the first chapter, or perhaps reading a chapter of interest, I could leave it there. It’s a little like sampling music on iTunes. I can hear some of the tracks, I can buy the album, or I can buy the individual tracks. That’s a far cry from $12 for a journal article. Now you might ask how many pages per chapter. Isn’t this the iTunes music model, but already existing for publications? Buy the whole thing (even in hardcopy) or the whole PDF which will download as soon as you pay (its 63MB will take under a minute on ADSL) or buy both and wait until the hardcopy arrives in the mail. Apply the same to journals. Even now, only a few articles in each journal I receive as part of my professional membership registration interest me. The rest is a waste of paper. Mr. Jobs, please let me do this now with publications. I’ll still try and get what I can for free by writing to authors and opening up a dialogue, just like some musicians give away their music, but let them earn a buck and let me gain easy, ready access to articles I can read on my tablet. Just make it affordable and within a click or two’s reach. The irony is that researchers get nothing when their work is published in peer-reviewed journals. But it’s imperative they publish, not just to advance science, but to satisfy their institution’s employments policies (“publish or perish”), obtain tenure, make a name for themselves to get a book contract, or publish research sponsored by well-heeled corporates especially the pharmaceutical industry, then do the lecture circuit. And do a deal with PLoS so they can earn some money for their efforts and offer even easier access to their wares. Using the expected multimedia capabilities of the tablet, let me see the authors discuss their experiments, show me any experimental equipment they perhaps used or questionnaires they employed I too can access via the tablet, and let’s move science forward rather than hold it back via paywalls. You know information wants to be free, right? (UPDATE January 12, 2010: Searching through various twitter conversations showed up the Journal of Visualised Experiments – JoVE – which is a visualised journal for the biological sciences. This is the sort of peer-reviewed research which would find an easy home on the tablet). Despite what I said at the very beginning of this entry about my colleagues’ lack of technological-savvy, an easy to use tablet with a no-brainer yet compelling user interface and inexpensive access to the world’s knowledge storehouse on-the-run (3G or Wifi or both) will sell in the scores of thousands to scientists alone in the first year. Pair that up with the ability of students to carry all their now-inexpensive textbooks with them, and you’ll have the next “Mastering Information down the Ages” revolution to further cement your place in history. UPDATE (January 8, 2010): This post prompted me to go back and look at the PDF of Glut. Looked high and low, on my several back up drives, and couldn’t find it. So I emailed the publisher from whom I’d made the Book+PDF purchase, with the date of purchase and credit card number retrieved from my iBank finance application, and emailed the customer-support section. Within a few hours, I received an email reply from Zina Jones, National Academies Press’ Customer Service/Order Processing Manager who had retrieved my information from NAP files, and offered me another free download, which I duly complied with! Think about this: How many books have you left behind on planes, at coffee shops, in hotel rooms, or lent to friends, never to be recovered. It’s not so bad if it’s a work of fiction, but what of a $120 textbook? You can’t just ring about Laurence Erlbaum and Associates and plead “I left my book in my hotel room!” and expect them to FedEx you another copy. But as NAP has demonstrated (and as iTunes very occasionally allows for “lost” music files), you can recover your missing book and very quickly too, if you have kept track of your purchases. (It’s also why I never delete those receipts from the iTunes music store). Why Hasn’t Scientific Publishing Been Disrupted Already? This entry was posted in Presentation Skills, tablet and tagged Apple, science journals, tablet. Bookmark the permalink. Les – spot on! As someone who works among scientists (I’m a former engineer, myself), I can see how the 99c impulse-buy threshold goes a long, long way towards fulfilling the grand ambitions of folks like Tim Berners-Lee and Alan Kay. The 3-billion download milestone on the App Store presages a renaissance of literacy if Mr Jobs decides to price the ubergizmo within reach. schools and textbooks could go the same way. buy the chapter of interest, not the entire book..
camera, microphone on the tablet as well will move responses beyond the textual…voice recognition would also be nice! re: textbooks – make ’em digital, cut the price way down (66% lower than current prices) – then revise them each year – hell, each semester! Work deals where professors must use the latest version. Each individual student benefits because they get the latest version at a good price. Textbook publishers benefit because they get massive sales each semester and could potentially put used book sellers out of business.